We recently treated Coco, a young German Shepherd, for a suspected snake bite after she presented to us with hind limb weakness, dilated pupils and bloody urine. Her owner searched his property after Coco got sick and found a dead Tiger snake, that appeared to have been bitten, a likely culprit! We are happy to report that Coco has made a full recovery after a few days of treatment, including the all important snake antivenom. Please be careful when walking your dogs off lead in parks and beaches, there are many snakes in the Bayside area. The most common snakes causing bites in Victoria, are the Eastern Brown and Tiger snakes, they are much more active in the warmer summer months and are often found near water. If you suspect that your pet has been bitten by a snake, please seek veterinary attention immediately. Your pet needs treatment as soon as possible to have the best chance of survival. If possible, try to identify the snake (by taking a picture if you can), as there are different antivenoms available (also multi antivenoms if the type of snake is unknown). A pressure bandage may be applied to stop any bleeding. However do not attempt to apply a tourniquet, wash the wound or attempt to remove the venom. While on your way to the vet, keep your pet as calm and as still as possible, carry them to and from transport, and try to keep their heart above the level of the wound. 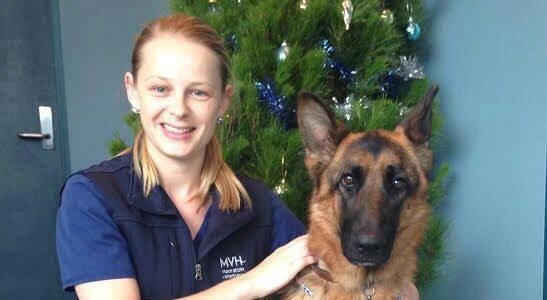 If you have any further questions, please call us at the Moorabbin Veterinary Hospital on 9555 4808.